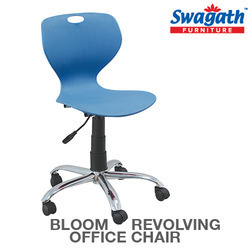 Avail from us office chairs specifically designed with innovation to give highest level of comfort at work. Our revolving office chairs are available in variety of designs and colors and are made using finest quality plastics, rubber, foam and cloth. These office chairs feature a contoured back and foam seat for comfortable use. 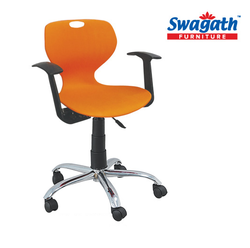 Our attractive range of office chairs occupies less floor space and are best suited for working environment. 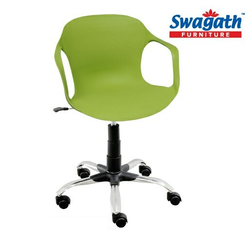 Available under Swagath brand, DUBLIN Revolving Chairs with Armrest find high usage in areas like homes and at commercial areas like hotels and resorts where its elegant finish designs support enhances the aesthetics of the surrounding decor. Featuring exciting and attractive finishes with designs as per emerging market trends, its contemporary finished designs also make these the first choice of the customers. Providing for highly comfortable usage, its superior plastic seating and backrest make these enhance the look. 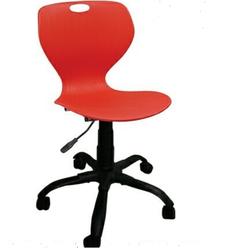 Bloom Revolving Office Chair with colorful plastic seat and black powder coated steel base with attached wheels for smooth movement. This comfortable office chair also features an easy to use height adjustable lever. The plastic seat is unbreakable and has a push back feature. 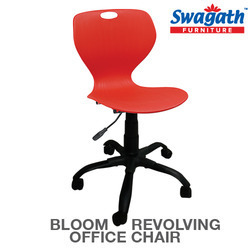 Bloom Revolving Office Chair with a colorful plastic seat and stainless steel base with attached wheels for smooth movement. This office chair comes with an easy to use height adjustable lever. The ergonomic plastic seat offers excellent back support and has a push back feature while being unbreakable. Bloom Revolving Office Chair with an attractive plastic seat and powder coated steel base with attached wheels for smooth movement. This armed office chair comes with an easy to use height adjustable lever. The ergonomic plastic seat offers excellent back support and has a push back feature while being unbreakable. 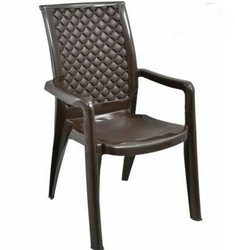 We are leading supplier of Plastic High Back Chair with Arms. Backrest with an attractive rattan design. 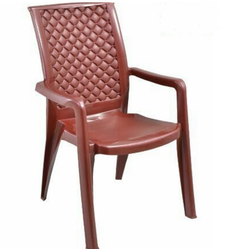 We are leading supplier of High Back Chair Plastic with Arms. 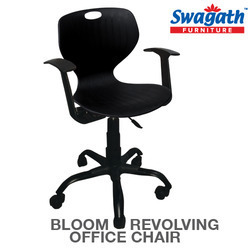 Bloom Revolving Office Chair with a comfortable plastic seat and stainless steel base with attached wheels for smooth movement. This armed office chair comes with an easy to use height adjustable lever. The ergonomic plastic seat offers excellent back support and has a push back feature while being unbreakable. These office chairs are available without arms as well as with arms. They are available in different colors. These chairs are height-adjustable and are available with castor wheels. Make your office more elegant with these comfortable and attractive chairs.